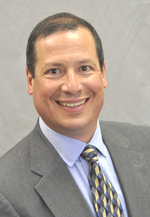 Staff – Martinez Associates, Inc.
James Martinez is the owner and president for Martinez Associates, Inc., in Golden, Colorado. Martinez Associates is in the construction industry and provides services on airports, highway, bridge, water/wastewater, commercial building projects for private and governmental agency customers. James has been providing comprehensive construction inspection, and testing services throughout Colorado for over 25 years. 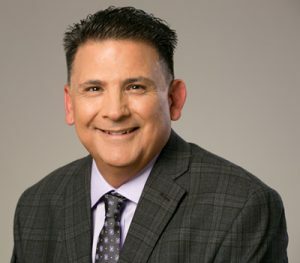 James is active in the local community and serves on the Board of Directors of the Hispanic Contractors of Colorado (HCC) as an at-large member representing Professional Services. James sits as the new Chair for the CDOT Professional Services Collaborative Committee. James also is a current member of the American Society for Testing and Materials (ASTM) and sits on committees for C01 on Cement, C09 on Concrete and Concrete Aggregates and E60 on Sustainability. These committees develop all technical standards and guidelines for the geotechnical industry worldwide. Before starting Martinez Associates in 2011, James worked for several large national geotechnical companies growing their local operations to over 100 employees. James started his career in 1990, worked his way up from being a field engineering technician and ultimately becoming the Director of Field Services for the companies. He then decided to leave the corporate world and joined a small engineering company in Denver before purchasing the field services portion of that company and started Martinez Associates, Inc.
Mr. Strickland is the senior engineer for Martinez Associates. Mr. Strickland is a graduate of the University of Colorado where he obtained his Bachelors of Science degree in civil engineering in 1977 and Master of Science degree in 1980. In 1983, he received his State of Colorado Professional Engineering license and is also a registered Professional Engineer in the states of Wyoming, Utah, Iowa, Missouri, Nebraska and Kansas. Mr. Strickland has spent his career as a staff engineer, principal professional, and office manager for several large engineering firms. Mr. Strickland has over 35 years of extensive experience in design and construction projects, including field investigations, preparing geotechnical engineering reports, pavement designs, slope stability analysis and retaining wall design. 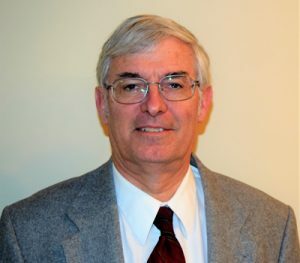 His project experience includes residential subdivisions, apartment complexes, large commercial buildings, high rise office and hotels, water and wastewater facilities, bridges and retaining structures for railroad and roadways, pavement evaluation and design, slope stability analysis and stabilization and building renovation and rehabilitation. Mr. Strickland manages the new geotechnical engineering service line at Martinez Associates. His responsibilities consist of supervising and directing the technical, operational, management, and administrative activities of this department. Mr. Strickland also works as a Project Manager, but his ultimate responsibility is the overall performance of the engineering department. Mr. Runner is the Construction Materials Testing and Inspection Services Department Manager. He has experience in the construction industry as a general contractor and special inspector throughout the Central Valley of California and Colorado. His experience includes work for major commercial and residential high-rise developments, sub-divisions, apartment complexes, custom homes, and independent senior care facilities. Mr. Runner's project management skills include marketing, writing cost estimates, budget tracking, reviewing daily field reports, drafting compliance letters, drafting investigative letters, drafting invoices to the client, complete all project records at the close of the project, supervising field technicians, equipment inventory, day-to-day scheduling, and provide field technicians with in house training seminars. Field duties include structural masonry inspection, post-tension cable placements and elongation observations, reinforced concrete inspection, soils testing, asphalt testing, concrete testing, epoxy observations, pier observations and home inspections which included foundation excavation observations and footing inspection, foundation wall inspection, damp drain and void inspection, slab on grade and structural floor inspections. Lab duties include but not limited to compressive strength testing of concrete cylinders, beams, grout specimens, mortar specimens, and masonry unit prisms, moisture density relationships, gradations, maximum theoretical density, ac content by ignition oven, specific gravity, unit weights of concrete and asphalt cores, and organic impurities. 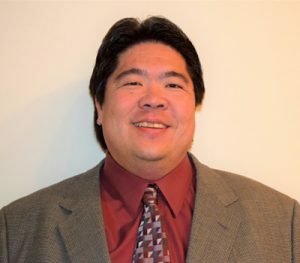 Mr. Tateyama is a Senior Engineer at Martinez Associates. He obtained his Bachelors of Science degree in Civil Engineering from Colorado State University in 1992. Mr. Tateyama is a Professional Engineer in Colorado and Wyoming, with more than 25 years of diverse engineering and management experience in geotechnical engineering, construction materials testing, construction management, pavement engineering, and mine subsidence engineering for private, local and state agencies throughout the region. Mr. Tateyama has been responsible for client and public relations on numerous projects. He has managed several multi-million dollar projects in Colorado and Wyoming and is involved in estimating and reviewing project documents, schedules, quantities and budgets, along with giving engineering recommendations. He also has experience facilitating project partnering and dispute resolution to resolve conflicts between owners, consultants, contractors, and the public. Mr. Tateyama currently serves as the reviewing engineer for the construction materials testing department. He also serves as project engineer on various geotechnical engineering projects. He is an active member of Colorado Association of Geotechnical Engineers (CAGE), Colorado Asphalt Pavement Association (CAPA) and Metropolitan Government Pavement Engineers Council (MGPEC).